The looped silhouette of the DP-2 by Dotcom Creation is unlike any other traditional in-ear or over-the-ear headphones in both form and function. 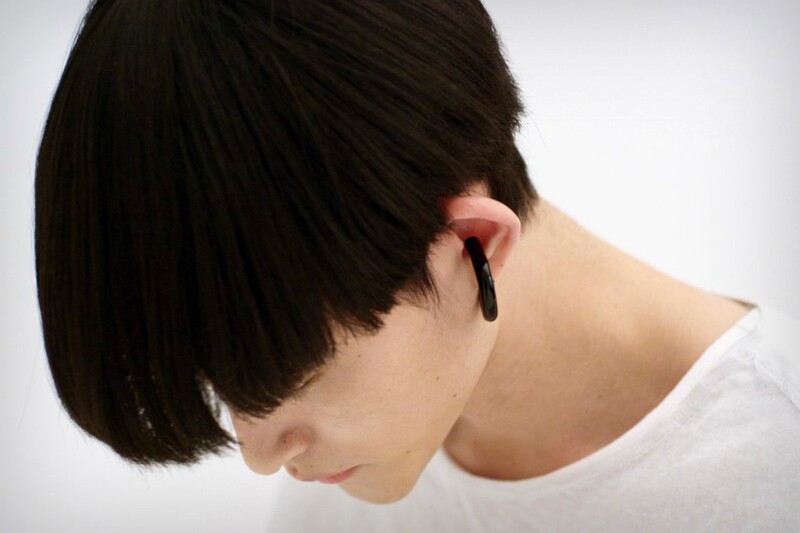 Bucking convention of other wired or wireless earphones, the DP-2 sits just within the vicinity of the ear canal, hanging and held in place by the shape of the human ear, allowing the listener to be audibly cognizant of their surroundings while listening to music or other audio. 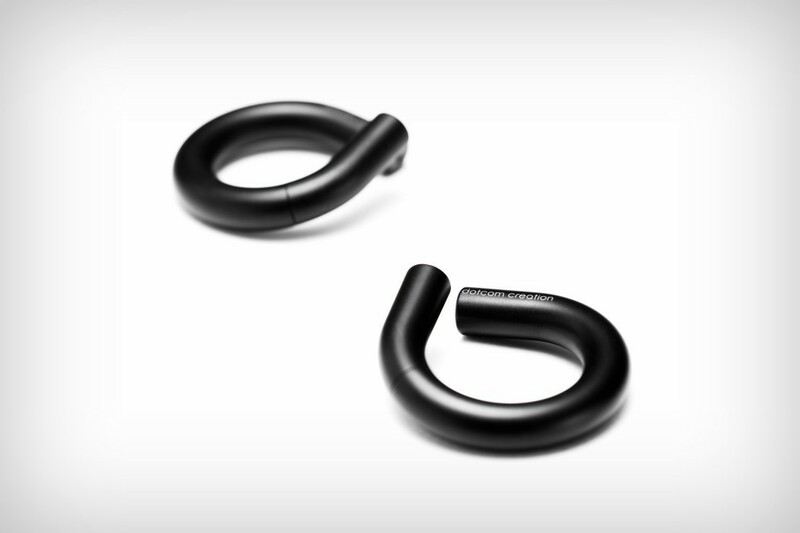 Designed by the former head of Creative Product Design Taipei at Sony Mobile Communication, Jun Katsunuma’s obsidian loop earphones design offers the appearance of the bottom half of the Mac Command key separated from the whole. 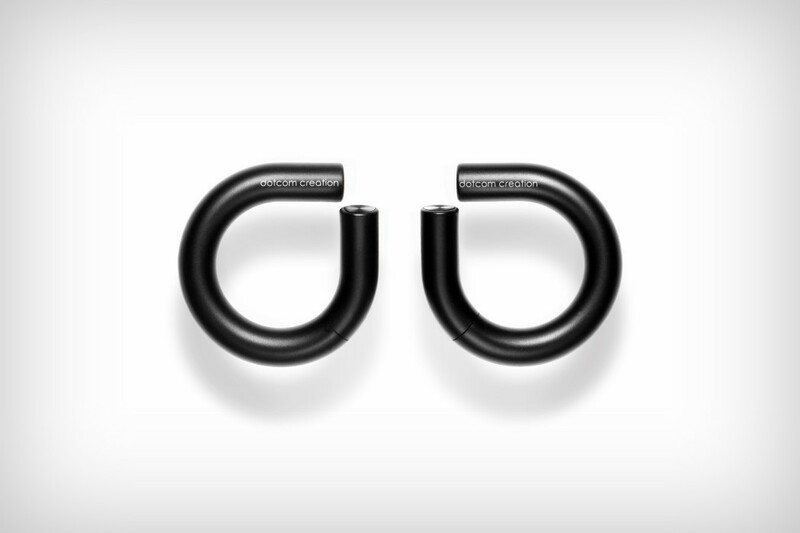 Each closed loop opens up with a twist, designed to be worn attached to the ear like hoops earrings. 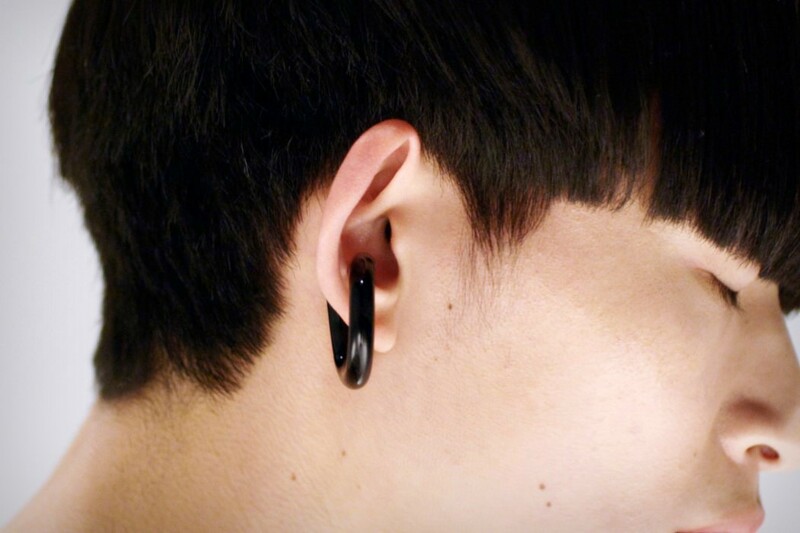 The all-black design is a darker, more ornamental counterpart to the now-ubiquitous and arguably more tech-conspicuous and all-white Apple Airpods. On the ear the DP-2 offers all appearances of jewelry rather than a portable audio accessory. Debuted recently at the 2018 CES Asia, Dotcom Creation DP-2 was presented as a conceptual design with other portable audio devices of similar fashionable spirit, right alongside other ventures under a different moniker, revealing the breadth of the company’s design interests. 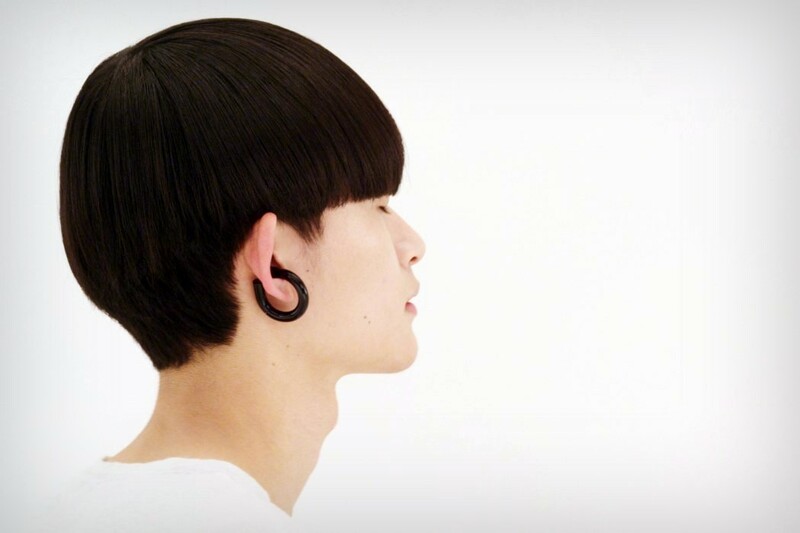 ANd don’t forget to check 3D-printed lab 2 titanium earphones.